Happy January! Anybody else recovering from a cold, or just stressed from the hazards of winter? Between the failing subways and rising cost of living, not to mention the endless news cycle, our baseline stress levels are off the charts. Hit with a cold this week, I luckily nipped it in the bud. And I owe it to a few treatments I would highly recommend. Until very recently, I was passive about the effects that the environment had on my body. I eat healthily, go the gym, so what could be missing? To start, the studies have creeped up in the news warning us about the poisons in our food, in the air, and ultimately in our bloodstream. Determined to dissect the truth about sweat and our bodies, I was fascinated with the results. Stay tuned below for all the deets you need to know. The ancient methods of detoxifying and healing the mind, body, and spirit are very much alive. 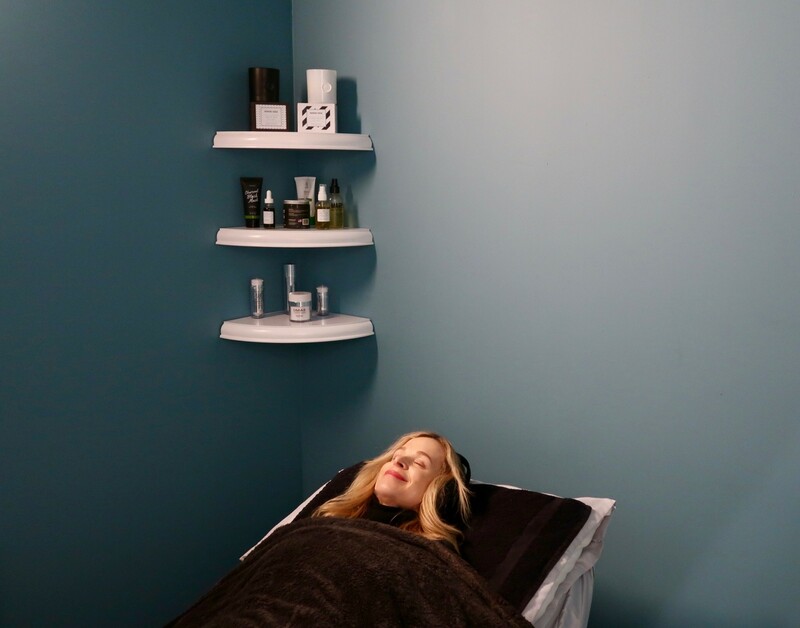 And now, in early 2019, lymphatic drainage salons, CBD facials, sauna therapy, and acupuncture salons, are popping up all over, like the blowout bar boom several years ago. I am not an expert on any of this but have recently tried cryotherapy, an infrared sauna treatment, and salt room therapy. I am excited to try the new drop-in acupuncture clinic, WTHN. It’s essentially without the hefty price tag. Read on below for all the latest on these holistic approaches to wellness hubs that seem to address every self-care need. When it comes to sauna benefits, they stem from a sauna’s ability to help your body detox. Yep, a relaxing sauna can help you remove more toxins than almost any other mode of detoxification. And an added benefit? Not only do you lose weight, but you lower your blood pressure, improved circulation, rids the body of toxins while cleansing the skin with excess sweating. I recently went to Nordic Edge to try out this treatment. The infrared light directly heats your body instead of heating the air, leaving you feeling warm, relaxed, and rejuvenated. It’s also great for your skin, detoxes your organs, and your blood. First of all, our bodies are built to detox on their own. However, because we are exposed to so many more toxins today than ever before in human history, it’s important for us to practice simple detox measures regularly. I love saunas because they are super safe and make me feel so refreshed. They also activate our greatest detox organ, our skin! Kill the sniffles with salt room therapy. The salt room relieves congestion by a holistic method that reproduces the natural micro climate of a salt cave by dispersing saline aerosol in a high concentration in a room whose surfaces are covered with layers of salt. It was very relaxing, and improved my cold. I stepped into a whole body cryotherapy sauna at -250° Fahrenheit, and walked out feeling new. This safe, pain-free treatment speeds up your body’s cellular metabolism, reduces inflammation, and increases blood flow and oxygen to your body all in 3 minute sessions. Extremely cold temperatures tricked my brain into survival mode. This supposedly redirects blood into your core organs pre-fusing them with rich, oxygenated molecules. Once you step out, your body begins to heat back up causing your blood vessels to expand kickstarting dozens of benefits. My legs were shaking from the shock but other than that, 2 minutes goes by pretty quickly. Endorphins were released, and general pain definitely subsided after only one session. If you’re looking for a rush of energy, this is the treatment for you. Looking for the fountain of youth? Don’t sweat it out! That’s really the beauty of this medicine: It keeps you well.